Christine Christopherson has been named Director of Nebraska Judicial Branch Education (JBE), a position that oversees the coordination and delivery of educational offerings for all Judicial Branch employees and judges throughout the state. The hiring panel included JBE Advisory Committee members: Judge Riko Bishop, Chair; Judge John Colborn, Vice Chair; Judge Linda Bauer, committee member; and Corey Steel, State Court Administrator. Christopherson joined Nebraska’s JBE staff in January 2017 as the Court Staff Education Director, bringing with her over 25 years of experience working in the field of education. She was responsible for the delivery of educational programming to court staff across the state. Before moving to Nebraska, she served as Curriculum Development Manager at the Institute for Court Management, a division of the National Center for State Courts located at their headquarters in Williamsburg, Virginia. While at the National Center she worked with court managers, executives, and judges across the country developing curriculum for court education programs and provided faculty development workshops. Christopherson was also the Judicial Branch Educator for the Unified Judicial System of South Dakota. In that position, she was responsible for the coordination and delivery of education for probation staff, court staff, and judges. She communicated directly with the State Court Administrator and Chief Justice to direct the work using committees and state court personnel. 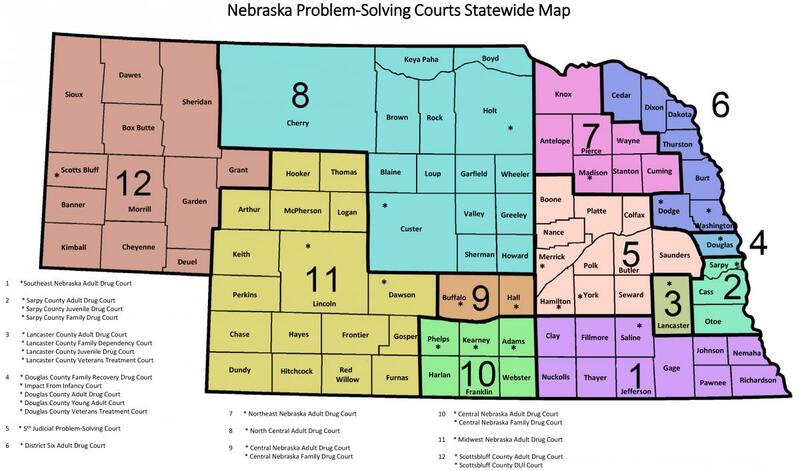 Nebraska’s JBE is designed to provide in-house programming for court staff, probation staff, and judges under the guidance of the JBE Advisory Committee. The JBE director and the Advisory Committee coordinate with education committee leaders consisting of trial judges and other Judicial Branch employee groups to promote excellence in the administration of justice through ongoing quality education. The division is comprised of nine full-time employees, which includes support staff, a distance learning specialist, trainers, and directors. JBE's primary function is to maintain and increase the professional competence of judges and judicial branch employees to ensure the delivery of quality judicial services to the people of the State of Nebraska.